Various brands of pop cans. teach the lesson. Here is an example of pop art on thumbdrives. 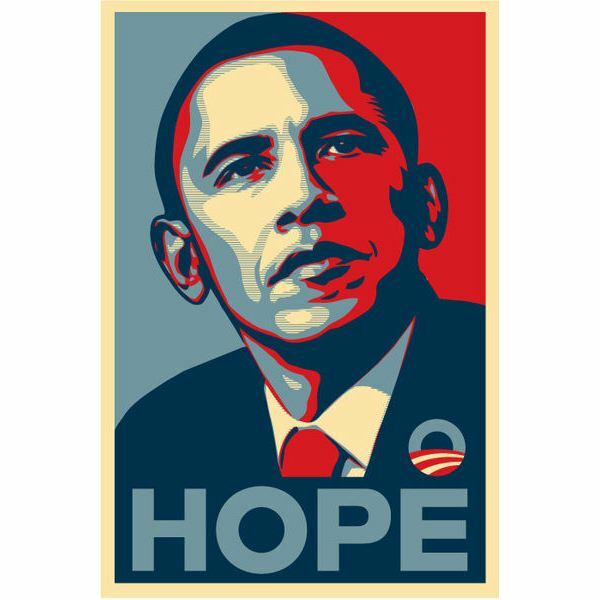 Check out Shepard Fairey's famous Obama pop art poster. Andy Warhol’s pop art painting of Campbell’s tomato soup can painted in red and green is another good example. Show how artists often used large paintings or drawings of mass produced products in unusual ways. For example, large, inedible sculptures of popsicles in brown fur show how this art form depicts popular yet unexpected colors or textures. 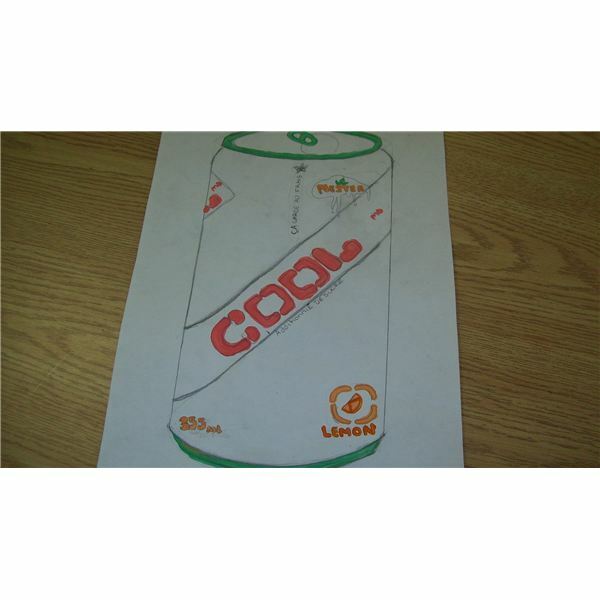 Using 12 x 18 inch drawing paper, sketch the pop can from a view showing the top of the can. 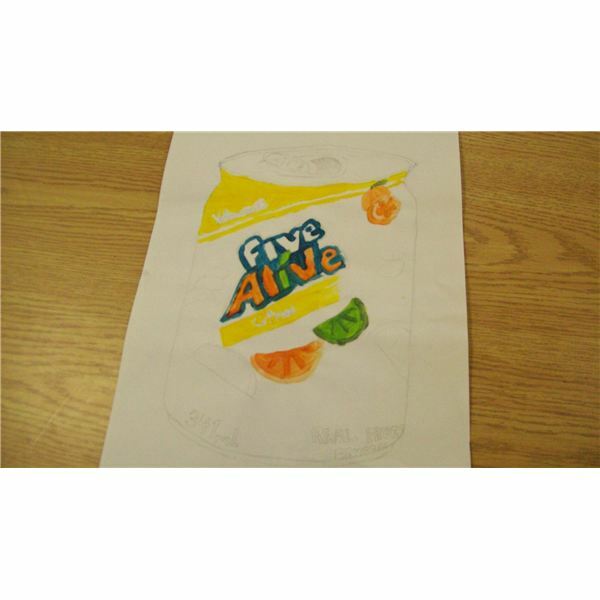 Teach students how to draw both a curved top and bottom to make it look three dimensional. Since it will be a painting, only sketch detail that can be painted in. Try to make the main letters as close to the original as possible. 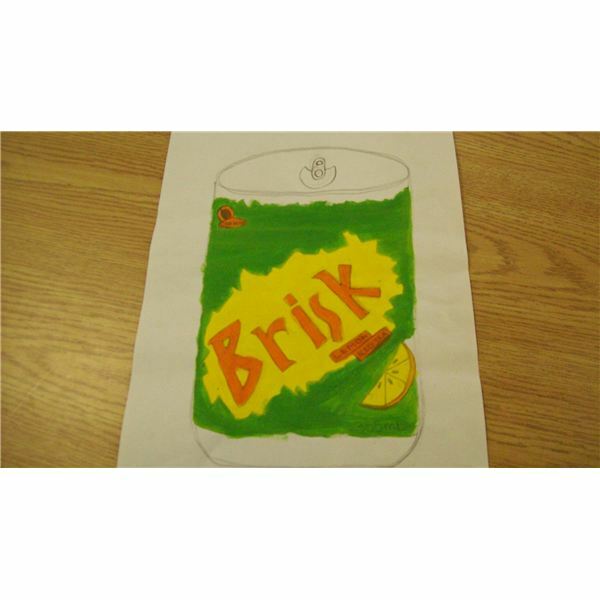 Use bright acrylic paints to paint the can. 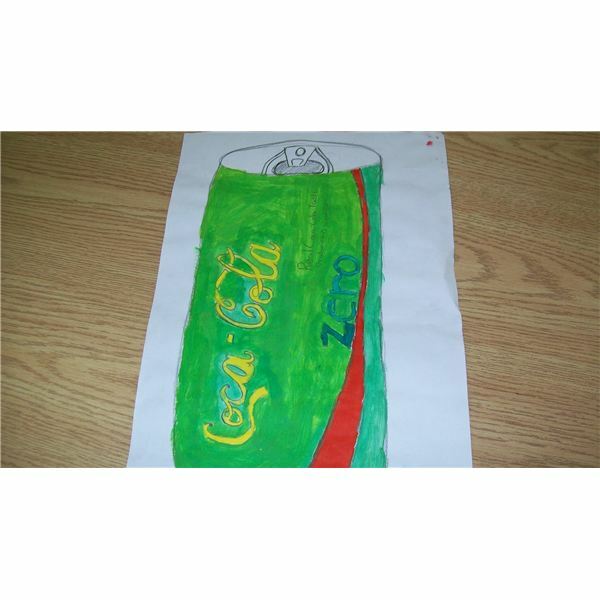 Try to use unexpected colors such as blue on a coke can, and green on a pepsi can. If the colors are green, yellow or orange for citrus drinks, try to pick complementary colors such as purple and blue instead. Have the students mix together blues and yellows to create different colors of green. Add black for darker shades and white for lighter shades of the colors. Paint the letters in first, then paint in the backgrounds. Try to paint the brush strokes around the can to help make it look round. Try to paint in white spots where light hits the can. Remember to display the student work together in a showcase to make the art pop out. Use a background color such as yellow to make the bright colors stand out. Try to have different types of pop displayed together. Display them side by side just as Coke cans would be displayed on store shelves. 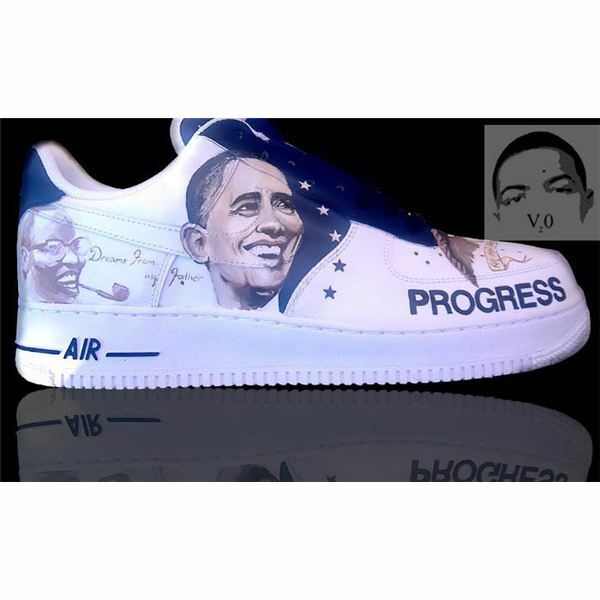 This adds to the idea of mass marketing pop culture which artists were fascinated with at the time. The title of the display could be “Pop Art, Pop Cans, Pop Culture". Use many different brands of pop so that students can compare the ways marketers try to make their brand stand out. Allow students to choose the brand they would like to try to sketch. Challenge better artists to draw more difficult designs. 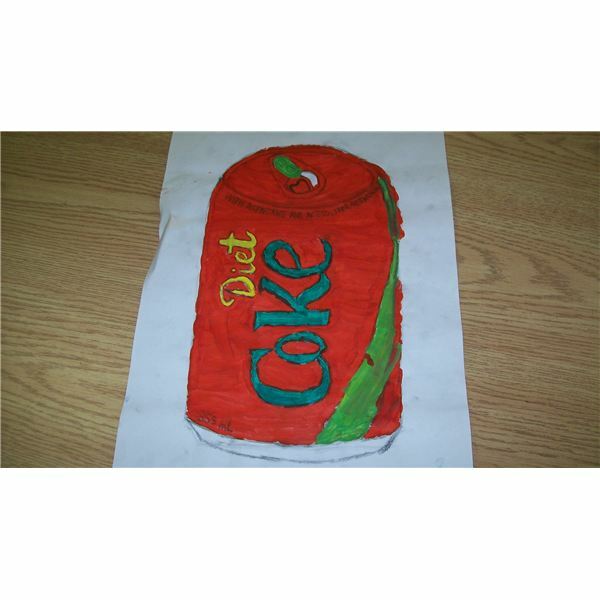 Use pop cans of the exact same brand such as coke and have all students use different colors on their painting. Or use one brand such as coke and show all the different kinds of coke such as diet coke, coke zero, etc. Use only two complementary colors for all of the paintings. 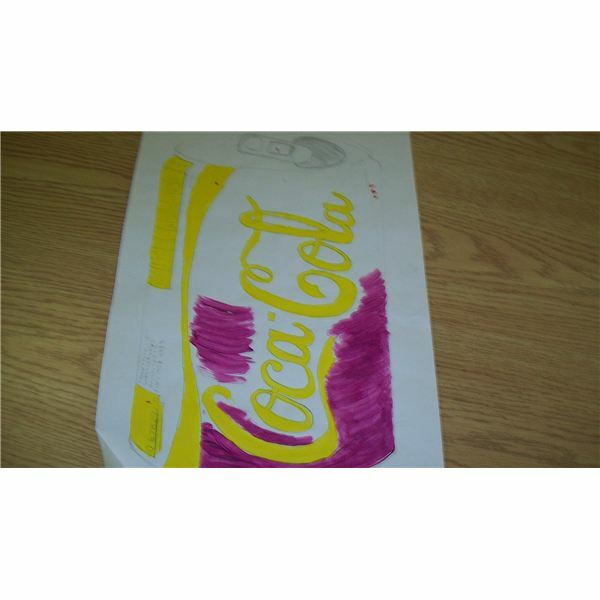 For example, use yellow and purple for all parts of the pop can so that students must choose how to make it stand out. Display them all together for a really eye-catching display. Use the lesson to teach about complementary colors, tints and shades. Have students mix their own colors to create the various greens, purples, or orange colors needed. Use the lesson to discuss influences on art such as popular culture, nature or the imagination. 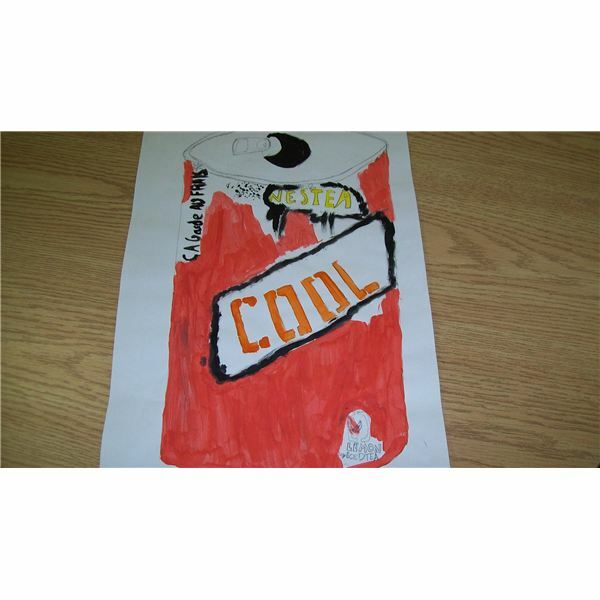 Use the lesson to show other areas where pop art is used such as: designs for clothing and shoes, designs on thumbnail memory sticks, campaign icons, posters, and billboard advertising. 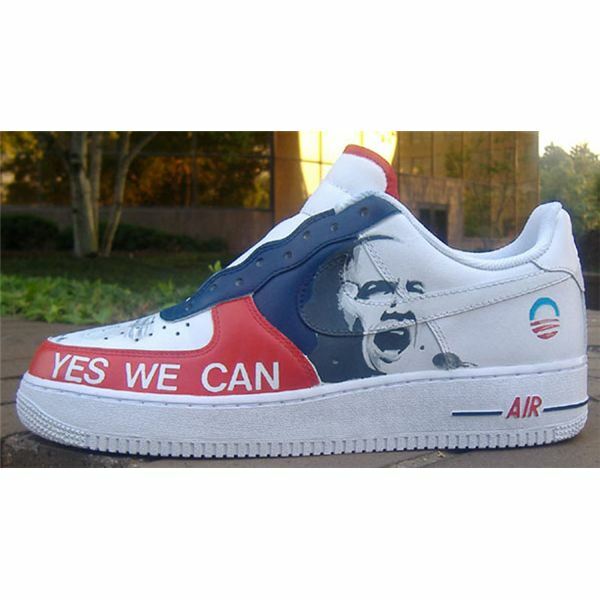 This video on Obama and pop culture by the artist Shepard Fairey could be used to teach about the influences of art and popular culture together. Use the lesson to teach students the benefits of recycling. Ask them how the pop cans could be reused in a new way, or recycled. 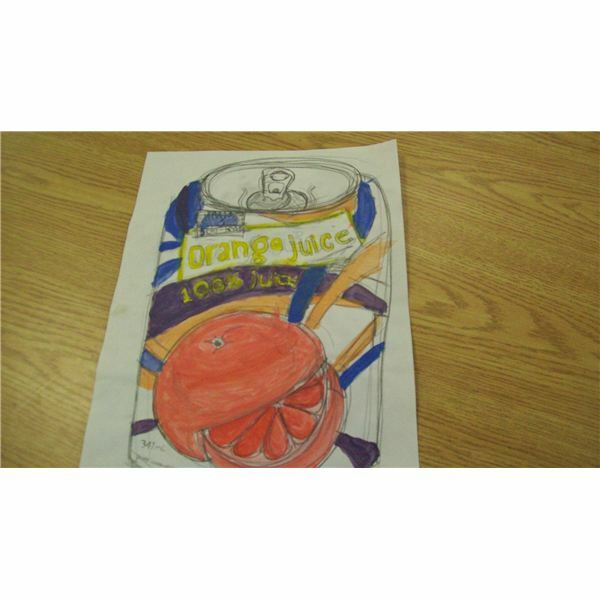 Demonstrate can and bottle recycling when doing this project by recycling bottles and cans in the classroom and school daily. 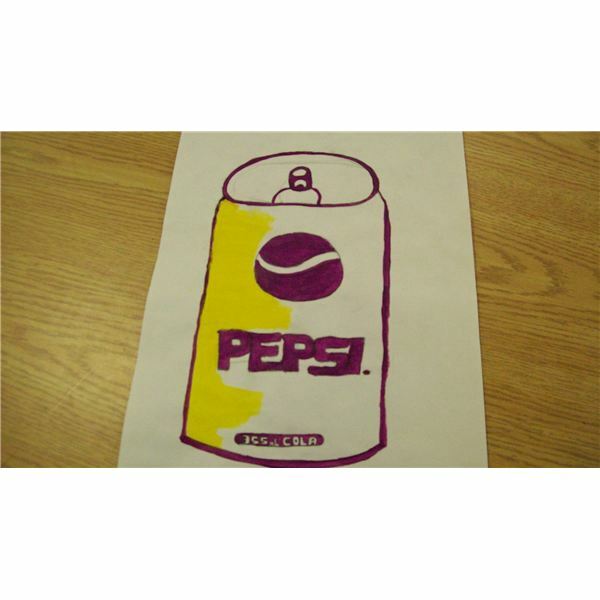 This easy pop art painting project is fun for students to do. 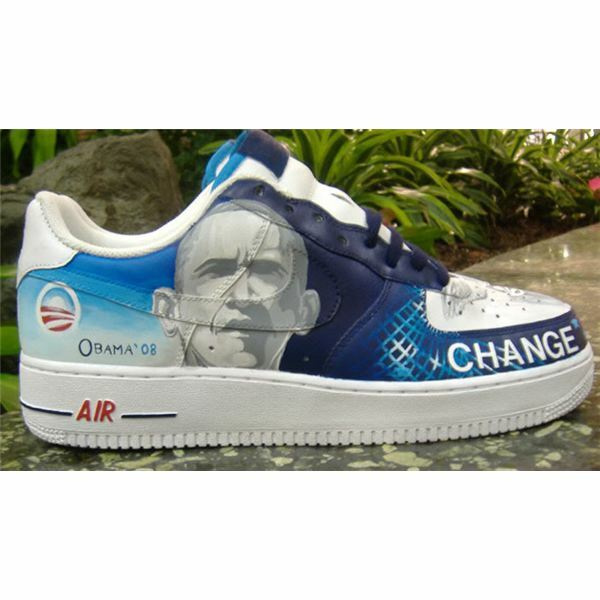 They will recognize how popular culture influences clothing choice, advertising and art itself. 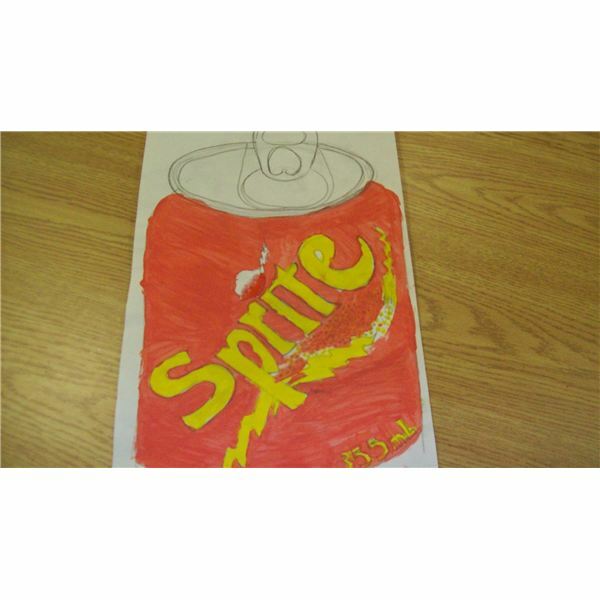 They will see how pop art can make an ordinary pop can into a beautiful art form. The many bright colors and repetition of images in a pop art gallery will emphasize how pop art was a reaction to mass production in Andy Warhol's time. They will learn about current and iconic pop artists. To learn more about how to make relief prints using the pop art genre of art, teachers can try this lesson plan on pop art.